The name Cerro Bayo, which means "Bay Mountain", reflects this resort’s stunning location on the banks of Lago Nahuel Huapi. From the top of this 17,720 ft (5,410 m) volcano, you will see 180 degrees of glittering lakes, framed in puffs of snow-covered trees. Since 1978 this Argentina ski mountain has been the jewel of nearby Villa la Angostura, which lies only 5.5 miles (9km) to the east. The town has a quaint European style with many wooden dwellings. A trip to Cerro Bayo offers the unique combination of Argentina village life with Andean resort skiing. The small family-style resort is known for its natural magnificence. You could be soaring down the slopes alongside the majestic Andean Condor, with a backdrop of endless blue lakes. Skiing Argentina at its best! Cerro Bayo offers 494 acres (200 ha) of groomed slopes to explore and 19,768 acres (8,000 ha) including all off-piste area. The longest run, an intermediate challenge, is a 3 mi (5 km) long panoramic view of the Lago Nahuel Huapi. Off-piste powder is available for the more advanced skiers and the resort is known for its support of snowboarding. 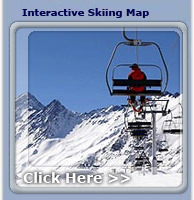 There are eleven lifts capable of transporting 5,700 skiers per hour. The Argentina ski school offers 45 professional instructors from all over the world teaching classes in skiing and snowboarding for both groups and individuals. There is a chance that the ski resort will shut down if there are not enough visitors, so it is best to visit during the peak season. Every year this Argentina skiing resort has taken pains to improve its services, with better parking, new lift systems, and a snowboarding park. A great ski Argentina option! There are several options at the resort for dining and relaxing, however the most diversion is in Villa Angostura. Here you can choose from a large variety of restaurants and cafes. You can also arrange excursions such as fishing, mountain biking, hiking, and horseback riding in the nearby national parks. Skiing in Argentina does not get better than this!